5 beaded strands of 6 mm high quality glass pearls in 4 strands gray and 1 strand white, and with a pave setting clover on the middle of the bracelet.Bracelet closes with lobster clasps and fit up to 7 inches (however if you need a specific size - I will be happy to adjust it for you - no extra charge). We can provide other color as your requirements, OEM is welcomed. 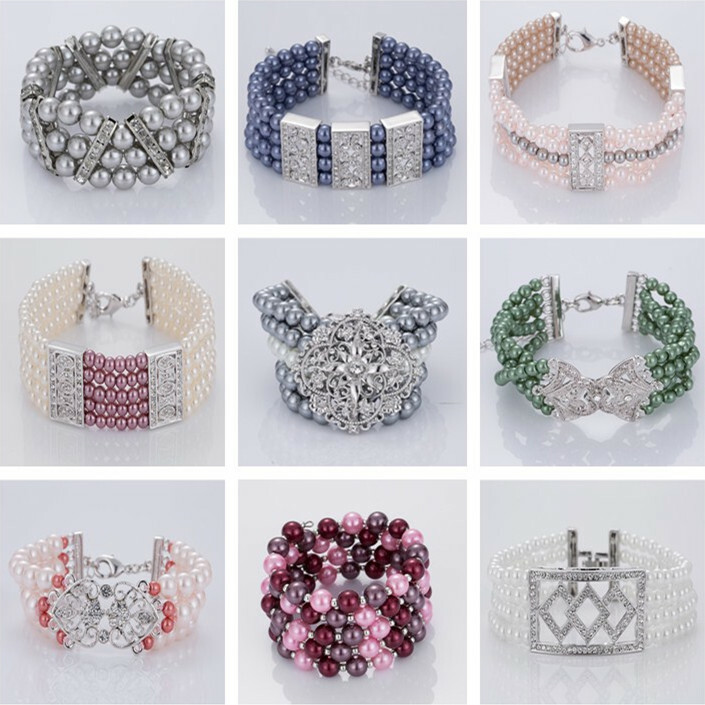 Looking for ideal Popular Beaded Bracelets Manufacturer & supplier ? We have a wide selection at great prices to help you get creative. 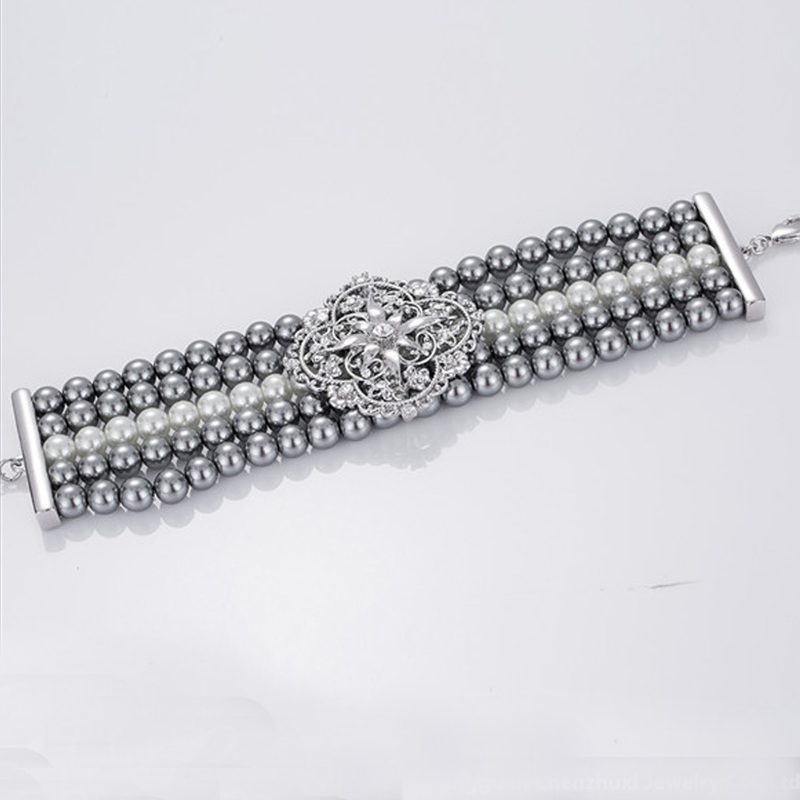 All the Handmade Beaded Bracelets are quality guaranteed. 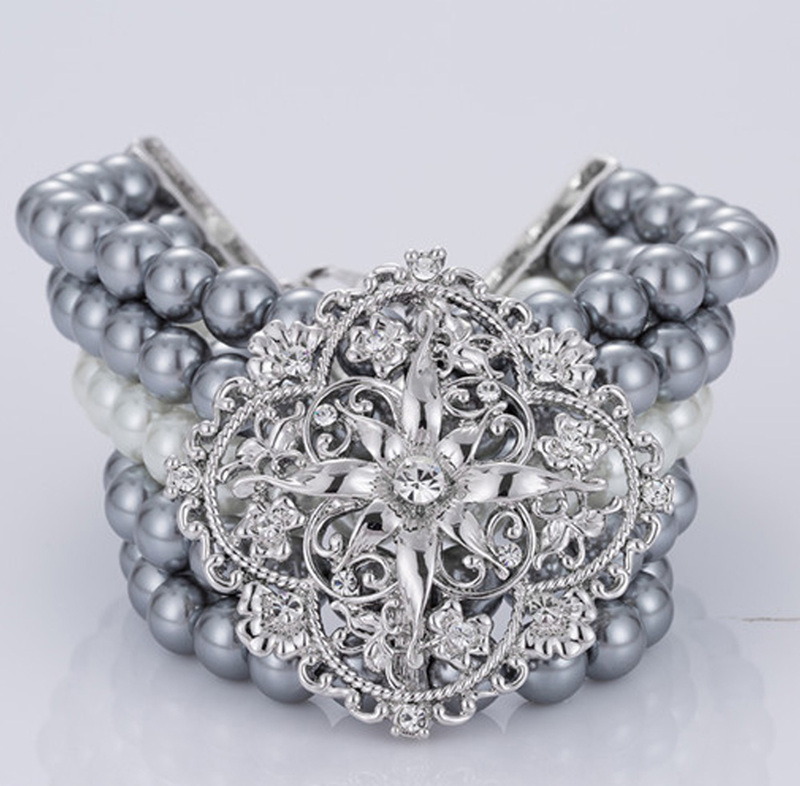 We are China Origin Factory of Bracelet Gray and White Bead. If you have any question, please feel free to contact us.